ALLEGAEON to embark on a European tour next February supporting OBSCURA! 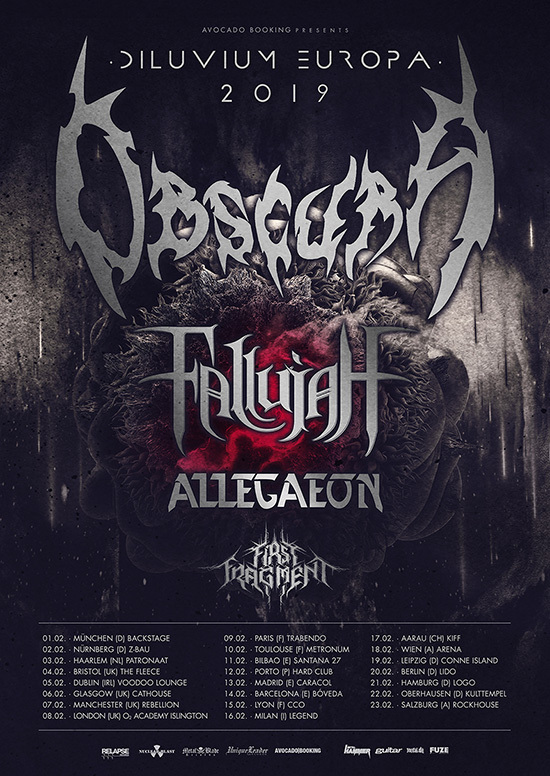 American metallers ALLEGAEON have just announced their return to European shores for next February when they will support mighty Obscura on their headlining run. Other bands on the bill include Fallujah and First Fragement.